2018 Luxury DUKES Dubai in Dubai, United Arab Emirates UAE! Bid Per Room Per Night and Choose Your Length of Stay! in Dubai, United Arab Emirates! British hospitality meets Dubai elegance at this one-of-a-kind, sophisticated getaway. Set on the trunk of Palm Jumeirah, DUKES Dubai offers guests a seamless blend of comfort and luxury with 506 well-appointed guestrooms, suites, and apartments, wonderful culinary options, relaxing leisure facilities, and breathtaking views of the Dubai Marina skyline. Its central location sets guests in close proximity to a myriad of top city attractions including well-known corporations, shopping centers, and entertainment venues. While staying on premise, guests can indulge themselves at the hotel's private beach or infinity pool while gazing out over the panoramic skyline, or opt to meet friends at the hotel's intimate Tea or Cigar lounge. 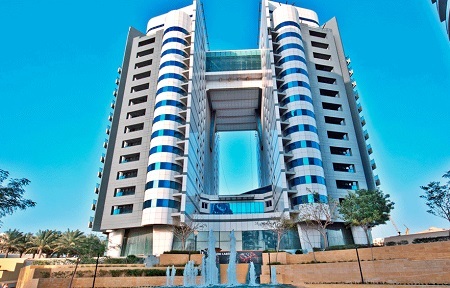 DUKES Dubai is a fantastic hotel for business and leisure travellers alike looking to relax or explore while enjoying all the comforts of home. Offer is based on a Single or Double Occupancy in a Dukes Room. These rooms also include free non-alcoholic drinks in minibar-walk in shower-Iron and Ironing board- safe box. DUKES rooms are available in King and Twin room Categories. Stay a minimum of 1 Night or up to 6 Nights as desired and based on availability.